Our full time job is helping people to detox. A detox program can help the body’s natural cleansing process by stimulating the liver to drive toxins from the body, promoting elimination through intestines, kidneys and skin, and refueling the body with healthy nutrients. New research shows that almost every disease can be linked to toxins. Toxins are everywhere: the air we breathe, the chemicals we clean with, the food we eat, the toxins we put on our skin and the arsenal of drugs we put into our bodies. The following are ways you start a detox program to help remove those toxins especially if you smoke or have quit smoking, or are an unhealthy eater. 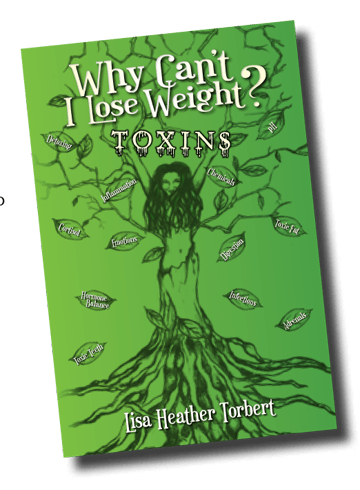 Kick start your detoxing routine by purchasing Why Can’t I Lose Weight: Toxins written by the owner of Heather’s Holistic Health, Lisa Heather Torbert. 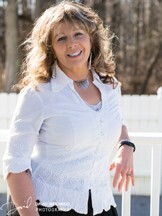 It revolves around her personal journey dealing with toxins. She has healed from 18 different diseases/disorders from different detoxing techniques and getting rid of the toxins in her life, and luckily for the rest of the world has compiled these lessons into a convenient and easy to read book. . If your body could tell you what was wrong, what do you think it would say? QRA Testing is a unique highly effective testing program that tests the bio-energetic status of the body’s key organs, glands and hormone balance. It is a program designed to get to the root of the problem to determine the precise nutrients and amounts needed to rapidly restore your energy and health. If your plant is dehydrated you don’t want to spray water on the leaves (treating symptoms) you want to water the roots to bring hydration back to the plant. By using QRA Testing we are now able to get to the root of chronic illness. For an individual looking to detox this is a wonderful vantage point. Ionic Footbath can help detox by immersing your feet in water while positive and negative ions are emitted by the machine, which re-energize the body. This type of machine is described as a detox machine because the response of a re-balanced body is to excrete any excess toxins via the kidneys, liver, bowels and skin not only DURING but also AFTER treatment. It can help with headache and pain relief, joint stiffness, improved sleep patterns, removing heavy metals, menstrual pain, arthritis pain and boosting the immune system, as well as improving kidney and liver functions. We are very proud of our assortment of organic supplements that are all made from live sources (not synthetic like the majority on the market) in non-BPA containers. They have no animal glandulars, fillers or binders. Liver detox supplement include Liver ND, Heptaoven and Reishi. However, if you have been a smoker, construction worker, or have been around chemicals such as paint, cleaning supplies then Chem Detox and Pneumo (lungs) is your new best friend. Medi FX is one of our best products to help toxins bind to the clay and then exit through the digestive system. Physical tolls on our body are often easy to identify, however here is one that many people forget about: emotional toxins. Counseling and hypnosis are great ways to help get rid of emotional baggage that is adding to the toxic pool. Hypnosis is a powerful program which taps into the power of the subconscious mind. You can re-program your mind to help change your eating patterns, quit smoking, motivate your self to exercise, eat healthier, drink more water and enjoy doing it! Colon Hydrotherapy is a great opportunity to remove toxins and debris from the colon, especially for individuals who are suffering from constipation and bloating. Someone who struggles with keeping a well balanced diet can benefit immensely from this procedure. Another benefit of this procedure is that it helps the body establish regularity for the digestive system. 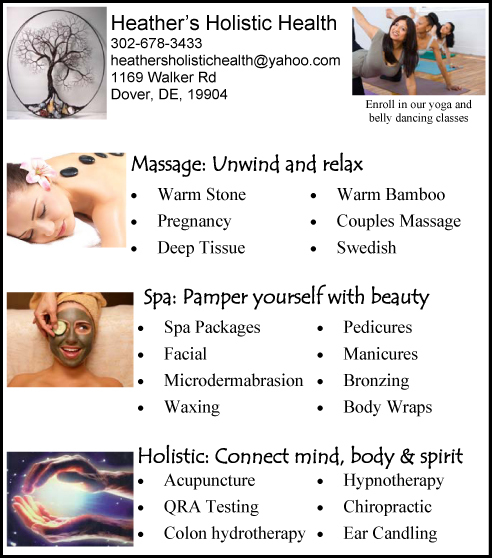 Colon Hydrotherapy is praised for making individuals feel wonderful from the inside out. If your current diet is processed foods, fast foods, dairy, sugar, white flour, nonorganic foods, farmed raised fish, then you are increasing the amount of toxicity at a rapid rate damaging the cells and organs in your body. If you change your diet to include wild caught fish, fresh organic fruits and vegetables, brown rice, sweet potatoes, organic beef or chicken and eggs than your body will start to detox and clean up toxicity in your body. Something else you can find at our facility is raw organic juice. Every 18oz. bottle has a basket of fresh veggies and fruits. Pure and fresh, our juice is a great tasty way to detox the body. We also offer a three day juice fast that can promote a quick start to your detox program. With five different juice flavors to choose from, we are confident that you’ll find the one right for you and your body. ← Previous Story Elos Painless Laser Hair Removal!